Joints are one of the most important parts of your body. If you don’t care for them properly, then the joints can wear off or become damaged, whether it be on the knees, shoulders, hips or anywhere else. As a result, you will not only have to suffer immense pain but may even have to undergo surgery to treat it. To ensure that such a situation does not arise, you must care for them correctly. And below, we list six tips which can help you avoid or minimize damaging the joints. If you are overweight, then you should take steps to reduce your weight. The knee joints will be under severe pressure trying to support you. 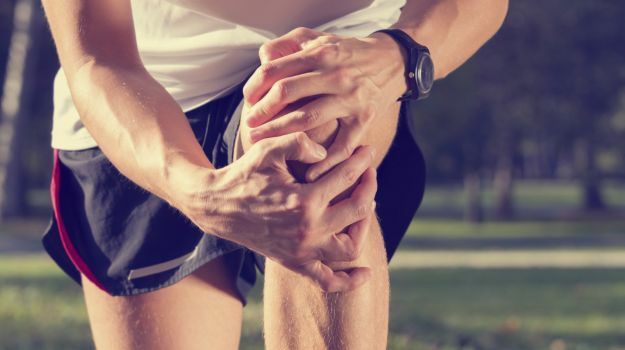 And over time, this pressure can take its toll and result in joint pains in the knee region. And since you are already overweight, any joint pain will only worsen from then on. The only way to avoid such problems is to cut down your weight and become fit. If you work in a profession that requires you to sit still for most of the time, then you should ensure that you take small breaks in between and lightly excesses your joints. Every two hours or so, spend five minutes rotating and bending your knees, hips, arms and such. This will ensure that the joints remain active at all times. If you neglect to do such light exercises, then there is a high chance that the joints might start to wear off due to inactivity. Ensure that you always wear the right fitting shoes. If you wear restrictive shoes for a long period of time, then the joints in your feet can be negatively affected. Wearing uncomfortable shoes can also change the way you walk, and you may end up putting more stress on your knees. Do you have a habit of smoking? If so, consider getting rid of the habit. While smoking is bad for your overall health, it also affects the joints negatively. In fact, it is estimated that smoking just a few cigarettes a day not only damages the joints but also doubles your chances of developing rheumatoid arthritis. Consider making foods rich in omega 3 fatty acids a part of your daily diet. This is said to lower the risk of joint disorders like rheumatoid arthritis. The best sources of omega 3 fatty acids include sardines, mackerel, salmon, and other kinds of oily fish. If you suffer any sudden injuries while in Savannah, urgent care has to be given to it. Visit the nearest orthopedics hospital and get the injury checked. Many people make the mistake of never treating their initial injuries, mostly because they think that it is not a serious one. While it may be true that the injury might be minor in nature, you need to understand that it is these minor injuries which later turn out to be major joint pains that affect you for the rest of your life. So, remember to give immediate medical attention to any joint injury, no matter how small it is.